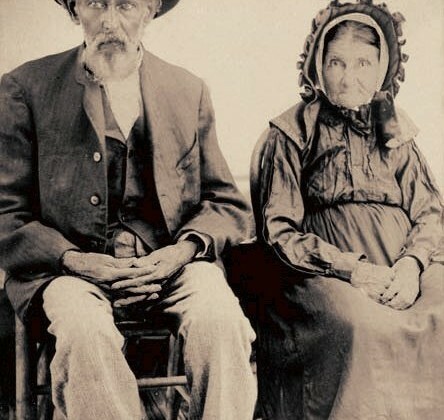 James Hennesy (4 Jan 1839 – 2 Oct 1911) and Nancy Caroline Welch Hennesy (9 Feb 1848 – 6 Nov 1925) in later years. There was no indication on the photo of photographer or date, but it would have been early 1900’s. If one looks closely one will note that the photo was taken outdoors. The chairs are set on wood slats over earth. The photographer has placed a white backdrop behind them. 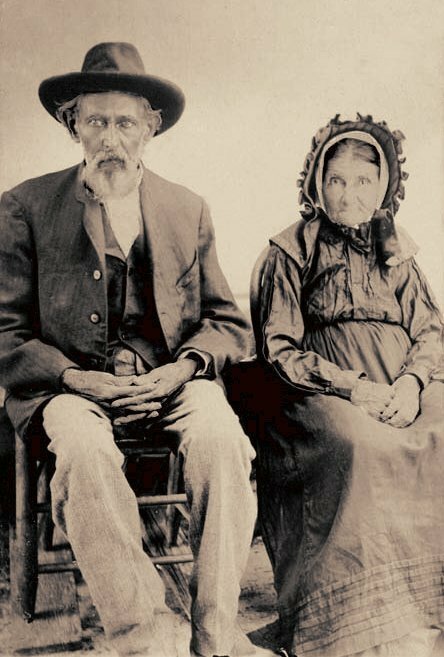 The Hennesys lived in Washington Parish, Louisiana. Photo from the collection of Jeff Hennesy.